Alzheimer’s – Unraveling the Mystery is a 3-hour online continuing education (CE/CEU) course that describes the risk factors, effective steps for prevention, strategies for diagnosing and treating, and the search for new treatments for AD. Check out ALL of our Closeout courses! Professional Development Resources is approved to offer continuing education by the American Psychological Association (APA); the National Board of Certified Counselors (NBCC); the Association of Social Work Boards (ASWB); the American Occupational Therapy Association (AOTA); the American Speech-Language-Hearing Association (ASHA); the Commission on Dietetic Registration (CDR); the Alabama State Board of Occupational Therapy; the Florida Boards of Social Work, Mental Health Counseling and Marriage and Family Therapy, Psychology & School Psychology, Dietetics & Nutrition, Speech-Language Pathology and Audiology, and Occupational Therapy Practice; the Ohio Counselor, Social Worker & MFT Board and the Board of Speech-Language Pathology and Audiology; the South Carolina Board of Professional Counselors & MFTs; and the Texas Board of Examiners of Marriage & Family Therapists and State Board of Social Worker Examiners. There are just a few days left to save 30% on ALL of our ASHA-approved online CEU courses. Stock up now and earn CE wherever YOU love to be. Over 20 Courses to Choose From! Professional Development Resources is an ASHA-approved provider of continuing education (#AAUM). Course completions are reported quarterly as long as you check yes to ASHA reporting in your account profile. Please note that the completion date that appears on ASHA transcripts is the last day of the quarter, regardless of when the course was completed. Professional Development Resources is also approved by the Florida and Ohio Boards of Speech-Language Pathology and Audiology and is CE Broker compliant (courses are reported within 7 days of completion). Just a friendly reminder that there are only 3 days left to enjoy a free CE course with every 3 you buy during our Valentine’s – Presidents’ Day Sweet on CE Sale! Add ANY 4 courses to your shopping cart and the lowest priced 4th course will automatically deduct at checkout (one free course per order). Courses must be purchased together. Offer valid on future orders only. You can also use a coupon to stock up on CEUs and sweeten the savings :). Hurry, sale ends Monday, February 15, 2016! Shop now. Wishing you lots of love this Valentine’s Day! Professional Development Resources is a nonprofit educational corporation 501(c)(3) approved to offer continuing education by the American Psychological Association (APA); the National Board of Certified Counselors (NBCC); the Association of Social Work Boards (ASWB); the American Occupational Therapy Association (AOTA); the American Speech-Language-Hearing Association (ASHA); the Commission on Dietetic Registration (CDR); the Alabama State Board of Occupational Therapy; the Florida Boards of Social Work, Mental Health Counseling and Marriage and Family Therapy, Psychology & School Psychology, Dietetics & Nutrition, Speech-Language Pathology and Audiology, and Occupational Therapy Practice; the Ohio Counselor, Social Worker & MFT Board and Board of Speech-Language Pathology and Audiology; the South Carolina Board of Professional Counselors & MFTs; and by the Texas Board of Examiners of Marriage & Family Therapists and State Board of Social Worker Examiners. Back to School CE Sale Ends Monday! 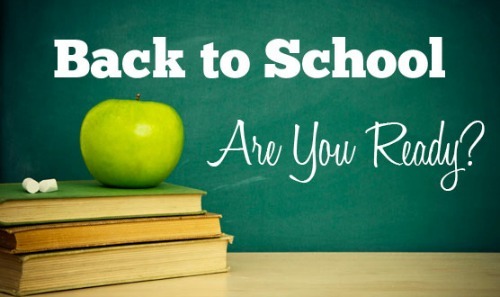 There are only 3 days left to save up to 50% on your Back to School CEUs. With 3 years to complete for credit, why not stock up and save? For our Florida friends tracking #Erika, here are tips to prepare and make your home hurricane-ready. We are monitoring in Jax. Our thoughts are with #Dominica. Online Courses: Provide instant access to the course materials (pdf download) and the CE test (to mark your answers on while reading). These courses are text-based so you can print or simply view on screen. Video Courses: Provide instant access to course video(s), handout and the CE test (to mark your answers on while watching the videos). These videos stream from Vimeo and are accessible wherever you have internet service. Test Only (Book-Based) Courses: Provide instant access to the CE test. Enables you to earn CE credit for reading a published course book (NOT included in your course enrollment) or share course books with colleagues. Sale ends August 31, 2015. Professional Development Resources is approved to offer continuing education by the American Psychological Association (APA); the National Board of Certified Counselors (NBCC); the Association of Social Work Boards (ASWB); the American Occupational Therapy Association (AOTA); the American Speech-Language-Hearing Association (ASHA); the Commission on Dietetic Registration (CDR); the California Board of Behavioral Sciences; the Florida Boards of Social Work, Mental Health Counseling and Marriage and Family Therapy, Psychology & School Psychology, Dietetics & Nutrition, Speech-Language Pathology and Audiology, and Occupational Therapy Practice; the Ohio Counselor, Social Worker & MFT Board; the South CarolinaBoard of Professional Counselors & MFTs; and by the Texas Board of Examiners of Marriage & Family Therapists and State Board of Social Worker Examiners. Professional Development Resources is CE Broker compliant (all courses are reported within one week of completion). Back to School CEU Sale – SLPs Save Now! Back to school season is in full swing and we’re here to help you prepare. All of our school or child-based CE courses are now on sale, at 30% off regular price! Have a great week, and please let me know if you have any questions. We’re here to help. Professional Development Resources is approved to offer continuing education by the American Psychological Association (APA); the National Board of Certified Counselors (NBCC); the Association of Social Work Boards (ASWB); the American Occupational Therapy Association (AOTA); the American Speech-Language-Hearing Association (ASHA); the Commission on Dietetic Registration (CDR); the California Board of Behavioral Sciences; the Florida Boards of Social Work, Mental Health Counseling and Marriage and Family Therapy, Psychology & School Psychology, Dietetics & Nutrition, Speech-Language Pathology and Audiology, and Occupational Therapy Practice; the Ohio Counselor, Social Worker & MFT Board; the South Carolina Board of Professional Counselors & MFTs; and by the Texas Board of Examiners of Marriage & Family Therapists and State Board of Social Worker Examiners. Professional Development Resources is CE Broker compliant (all courses are reported within one week of completion). Professional Development Resources, Inc. is a Florida nonprofit educational corporation 501(c)(3) organized in 1992. We are located in Jacksonville, Florida. Federal Tax ID 59-3138625. These online courses provide instant access to the course materials (PDF download) and CE test. After enrolling, click on My Account and scroll down to My Active Courses. From here you’ll see links to download/print the course materials and take the CE test (you can print the test to mark your answers on it while reading the course document). July specials end July 31, 2015. Offers valid on future orders only. Don’t leave ethical decisions (or CE requirements) to chance when you can save 50% on ALL Ethics CE courses right now @ PDR! You have 3 years to complete courses from purchase date. Online courses provide you with instant access to the course materials (PDF download) and CE test. Successful completion of the online CE test (80% required to pass, 3 chances to take) and course evaluation are required to earn a certificate of completion. You can print the test (download test from My Courses tab of your account after purchasing) and mark your answers on while reading the course document. Then submit online when ready to receive credit. Professional Development Resources is approved by the American Psychological Association (APA); the National Board of Certified Counselors (NBCC ACEP #5590); the Association of Social Work Boards (ASWB Provider #1046, ACE Program); the California Board of Behavioral Sciences (#PCE1625); the American Occupational Therapy Association (AOTA #3159) the Florida Boards of Social Work, Mental Health Counseling and Marriage and Family Therapy (#BAP346), Psychology & School Psychology (#50-1635), Dietetics & Nutrition (#50-1635), and Occupational Therapy Practice (#34); the Ohio Counselor, Social Worker & MFT Board (#RCST100501); the South Carolina Board of Professional Counselors & MFTs (#193); and the Texas Board of Examiners of Marriage & Family Therapists (#114) and State Board of Social Worker Examiners (#5678). Prices effective Friday, May 8 through Thursday, May 14, 2015.